Late, late, late. Today was one of those days. It looked like it would be an early out of work day. The doors were locked and then – a late walk-in knocked on the door. So much for trying to get an early start on the evening’s activities. Still, a little progress is still progress. Here is my little progress for this evening. 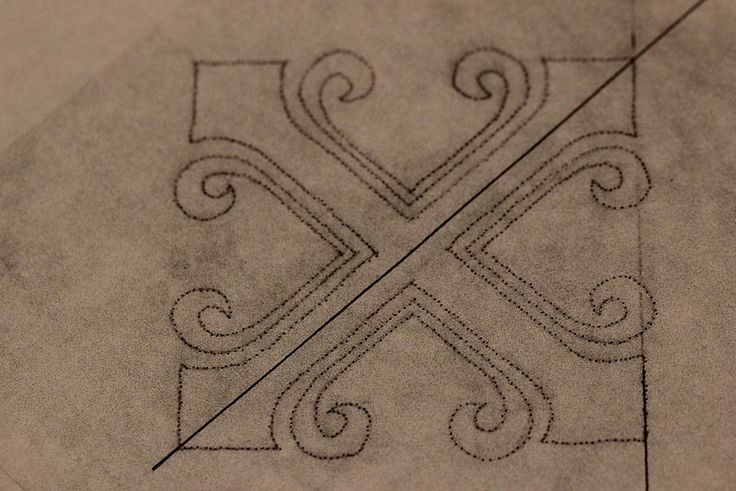 The cross embroidery pattern for the Purificator has been perforated and is ready for pouncing. 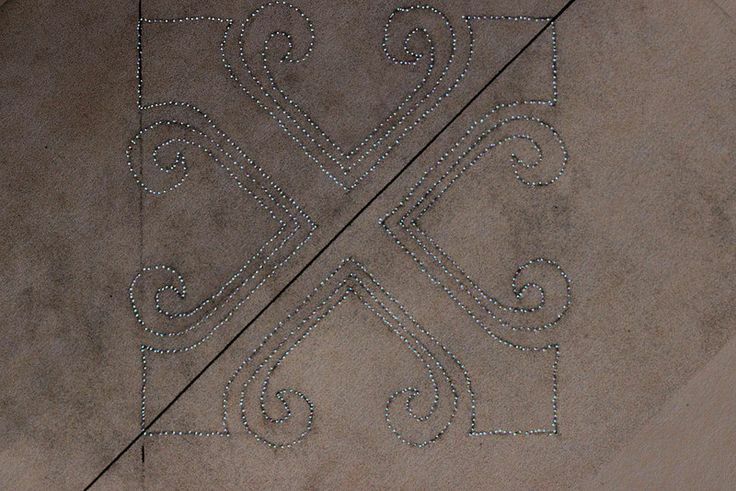 Many embroidery books refer to this process as “prick and pounce.” I learned something rather interesting about perforated hand embroidery patterns while volunteering at a monastery that had an Art Needlework Department at one time. All of the patterns had perforations made by the tiniest of needles. After sorting and cataloging hundreds of beautiful designs, we would look at a pattern on the surface and think, “No perforations.” But were we right? Being uncertain, it was good to make sure, but how you may ask? The test was always – you guessed it – light! Hold a pattern up to the light and see the tiny little perforations. Yep. They were really tiny. Yet there were ink marks on the patterns so one knows they were used to transfer designs. Oh, and the other thing – the teeny tiny, itsy- bitsy little perforations were really, really close together. So, given what was observed, it is time to try this out. Tonight’s progress – perforate the pattern with itsy-bitsy, teeny tiny holes that are really, really close together. And what to use to accomplish the minuet task? 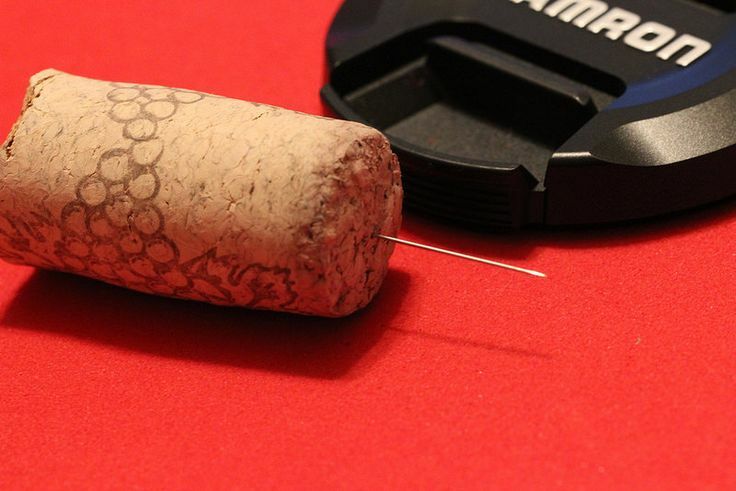 A size 12 crewel needle stuck in the end of a cork is a great home-made version of a pattern pricker. Perforating the pattern did not take as long as I thought – only a few minutes, really. It is a bit of an eye strain, and requires careful and accurate work to stay on the lines. Hopefully it will be well worth it in the end. 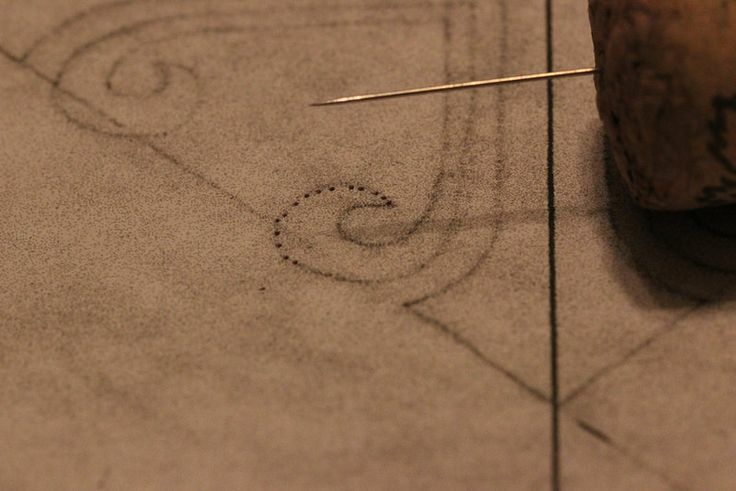 In the past, I have found time well spent on preparing a pattern properly lays a good foundation for the rest of the project. Glad the pattern is small this time. OK. So tomorrow’s goal, try to get out on time and get home to press linen, frame up, pounce and trace, and start thinking about threads. Wow, that’s a tall order for one evening. It’s good to have goals, right? Happy stitching and thanks for reading.